'Black Panther' star Danai Gurira to leave 'The Walking Dead' – AiPT! It’s getting a lot more dangerous in The Walking Dead. Well, that is thanks to Danai Gurira reportedly leaving The Walking Dead. She’s inked a deal for her final season so she’s not completely gone, but it will be in a limited capacity. That said, if you’ve read The Walking Dead you’ll know the character Gurira plays as Michonne is a hugely important one in the comics even today. Losing her now means the show will diverge even further from the comics although at this point I don’t think anyone is expecting it to mimic the comics anymore. 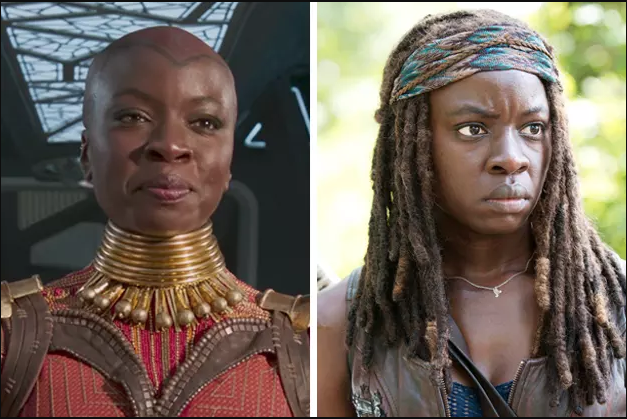 It’s highly possible Gurira will be involved in the three movies AMC is planning, but that has yet to be reported. One could argue her work on Black Panther, which has been highly touted, could be another factor in scaling back from the TV show. Hell, our very own Rob Reed suggested today this could mean Disney is planning to do a Black Panther TV show on their new network. What say you fans, is this a huge blow to the show, or just more of the same as it scales back its regular season cast with Rick Grimes (played by Andrew Lincoln) already out.